Many companies are pondering the question how to archive data for extended periods of time and in the most efficient way. While silos are defined as “a tall […] tower, in which some […] substance is stored”, silos are ill-equipped to store information as they are known to isolate their content. The term information or data silo is often used as a metaphor for problematic communication and collaboration structures within companies. The affected companies are typically larger companies with multiple distinct departments. Efficient work as well as making informed decisions is often substantially hindered by existing information silos. What is an Information or Data Silo? An information silo in the context of business development and IT is a management system that is unable to collaborate with other systems. The silo is isolated from other, adjacent systems. This way companies involuntarily produce an environment of individual self-contained systems that don’t exchange information with each other. Information silos in particular are one or more departments within a corporation which don’t communicate freely and efficiently. Once you deepen your understanding of silos and their structure, you will come across the difference between data silos and information silos. 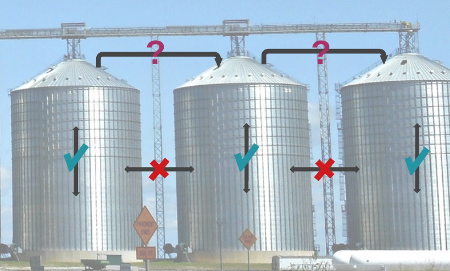 In fact the two types of silos are different only in their origin. While the cause for information silos lies in insufficient communication between humans, data silos are caused by technical barriers. Usually different departments use different tools to communicate and manage their data. 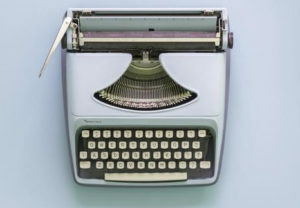 This can make simply sharing information and working collaboratively impossible because of incompatible storage formats. Because of this connecting knowledge from different departments can become extremely difficult even though it is a known fact that such a connection would be extremely beneficial. Communication takes place inside of silos but not between them. Silos don’t usually result solely from technical problems or solely because of team members who are unwilling to communicate with other teams. A known fact is however that data silos and information silos enforce each other since both raise the barrier for exchange across teams. Because of this separating data silos strictly from information silos does little to resolve the problem itself-especially since companies should aim to dismantle every kind of silo present within the organisation. Non-existent exchange and a disrupted flow of information indicate that silos are present within an organisation. The formation of silos is facilitated by the common structure of companies: a number of different managers is responsible for certain departments within the organisation and try to reach their own goals without considering the priorities of different departments. Companies that don’t make a conscious effort to promote open communication and collaboration are especially prone to the emergence of silos. The problem can be further enforced by conflicts of interest within the management tier. This leads to employees of different departments being unwilling to to exchange information with each other. This does not necessarily mean that departments are actively trying to keep information from each other. As soon as the effort to contact another department becomes greater than the perceived usefulness of the exchange, communication stagnates. Generally speaking silos have a negative effect as soon as they prohibit departments that should be communicating from exchanging information. This problem is actually more grave than it might sound at first: there’s hardly any company that doesn’t struggle with insufficient communication. It also doesn’t usually make a lot of sense to isolate different departments within companies from each other completely. The most obvious problem with silos is the fact that you can’t access them from the outside. This means that information that accumulates inside of silos or departments can travel within them but they can’t leave the silo. On top of that silos aren’t see through which means that outsiders can’t even determine what is inside of a silo. Because of that ‘outsiders’ have a hard time figuring out who the responsible contact person is, even if they suspect that a certain piece of information is present somewhere within the company. As a direct result the probability of duplicate research and inefficient work increases. On top of that data from silos can not be connected and therefore data from one silo can’t be used to enrich data that is stored inside another silo. Leveraging synergy effects becomes nearly impossible. This isolated view of isolated fragments of the entirety of existing data increases the possibility of missing patterns or anomalies. Consequences of this range from missed opportunities to misguided decisions. As long as an organisation doesn’t manage to supply all relevant stakeholders with the same (exhaustive) information, it’s nearly impossible to communicate a consistent corporate image. Inside of the company the team spirit is weakened. In sum silos can certainly contribute towards the failure of a product. Fortunately information silos – if they exist within a company – can definitely be dismantled. The easiest way to do this is to start from the top. The executive level should start by enforcing a corporate culture that unites everybody’s work towards a singular shared goal. managers should agree on the vision that is the basis of every activity and convey it consistently to their employees. Ideally every person should know what they are expected to contribute towards this shared goal. All in all management should encourage exchange and make the appropriate tools to communicate, save and connect data and information. Hopefully this leads to the direct benefit gained from communicating across departments surpassing its overhead. That way existing silos are gradually broken down and in the best case don’t emerge again. Are you looking for the perfect Tool for collaborative management of data and information within the company? Try our platform for interactive data management and start breaking down communication barriers!